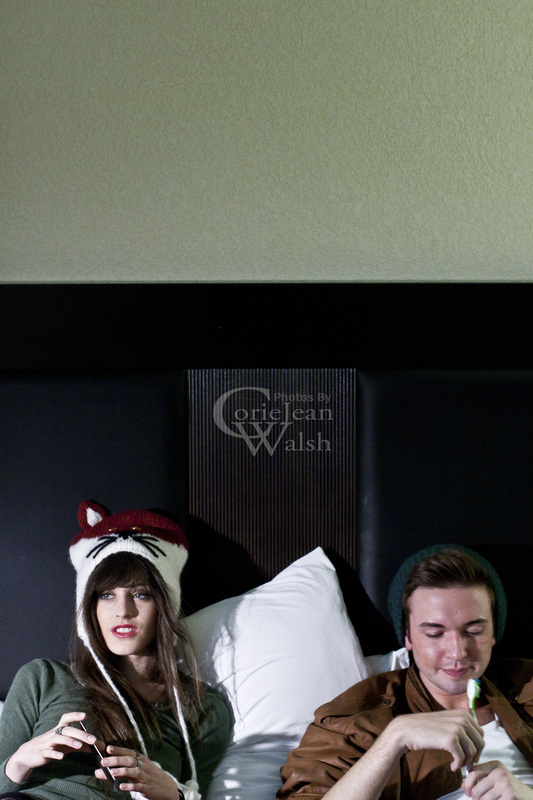 To catch a fox, here are some behind the scenes photos by Corrie from our shoot at the hotel. Sam and I enjoyed cigarettes, screw-drivers and wool hats and we posed and hid under the covers. Kisses from the animals in the hotel forest.